I think it might be surprising to most Americans just how often United States Presidents have been sworn into office in locations OTHER than the United States Capitol. It's probably more often than you imagine--it surprised me, and I read about this stuff all the time. We're so used to the inaugural festivities we enjoy every four years we forget that there have been occasions when the oath of office has not taken place publicly, or not at the United States Capitol. 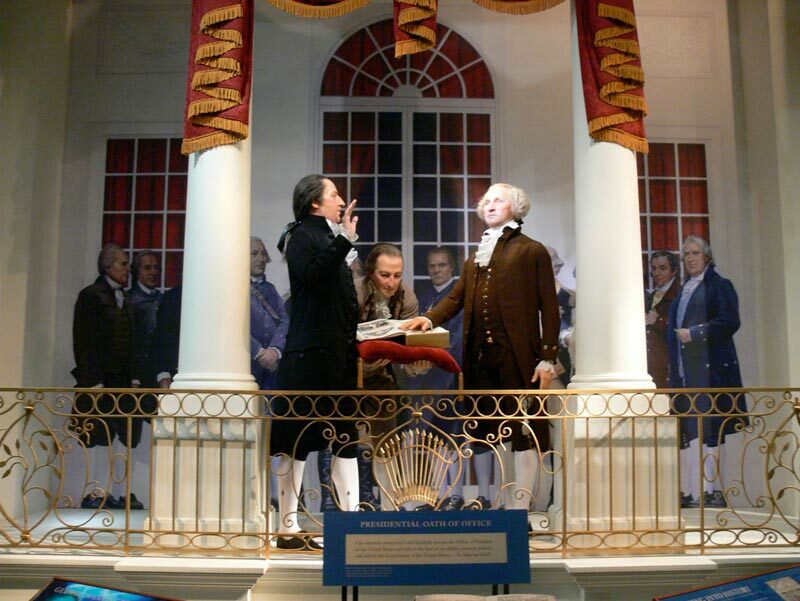 That was a tradition started with our third President, Thomas Jefferson, when he took the oath of office in the Senate Wing while the building was still under construction. And as you'll note below, there have been a lot of instances when our Presidents who were also Freemasons were involved--more often than not! Now most Americans probably know that Brother George Washington never took his oath of office in Washington D.C. Our capitol didn't exist there yet. When he took his first oath on April 30th 1789, he did so at Federal Hall in New York City. During Washington's First Term, the federal capitol was moved to Philadelphia, and he was sworn in for his second term in the Senate Chamber of Congress Hall. I might note there were two inaugural oaths administered at Congress Hall in Philadelphia--our second President, John Adams, took his oath in the House Chamber there. Most Americans will also quickly recall that Lyndon Johnson was sworn in aboard Air Force One just hours after the assassination of John F. Kennedy--the images from that day are etched on our collective memory, including that image of Johnson taking the oath with Jackie Kennedy at his side. Actually, Lydon Johnson began his journey into Freemasonry, but never finished--he was an Entered Apprentice. The White House has been the the site of many of these swearing in ceremonies. Brother Franklin D. Roosevelt was sworn into his FOURTH term on the White House's South Portico, and barely three months later, when he passed away unexpected, Brother Harry S Truman took the oath of office in the White House Cabinet Room. 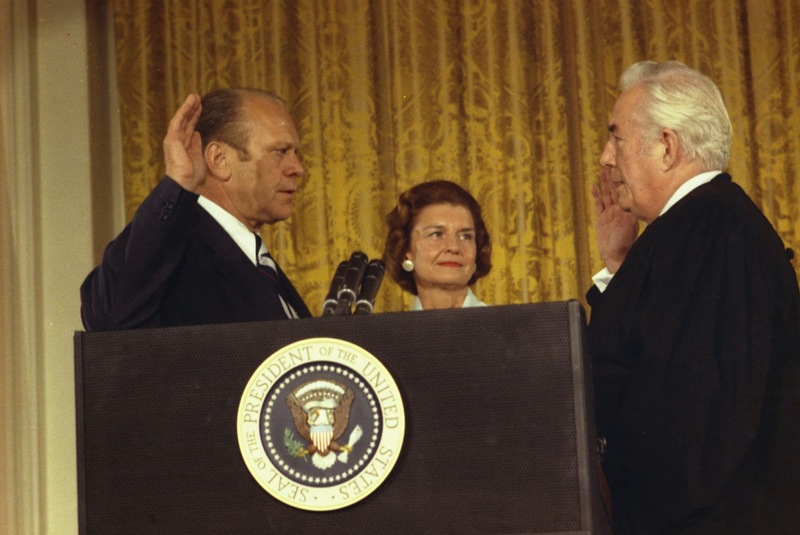 After Nixon resigned in 1974, Brother Gerald R. Ford took the oath in the East Room of the White House. Barrack Obama was sworn in for the second term in a private ceremony at the White House prior to the public inauguration which took place the following day. And there were other locations within the city of Washington D.C. As the United States Capitol was being rebuilt after the War of 1812, Brother James Monroe was sworn in at the Old Brick Capitol--that is the current location of the United States Supreme Court. John Tyler was sworn in at the Indian Queen Hotel (no longer in existence) after the death of William Henry Harrison. Brother Andrew Johnson was sworn in at Kirkwood House after the assassination of Abraham Lincoln. Chester A. Arthur took the oath of office at his private residence on Lexington Avenue in New York after receiving word that President (and Brother) James Garfield had succumbed after 80 days to the gunshot wounds of an assassin. Likewise, Brother Theodore Roosevelt took his oath at the home of a personal friend, Ansley Wilcox, in Buffalo, New York after Brother William McKinley died at the hands of an assassin. And finally, Calvin Coolidge received the oath of office at his family's homestead in Plymouth Notch, Vermont upon the unexpected death of Brother Warren Harding. The oath was given to Coolidge by his father, who was a notary public and justice of the peace in the early hours of the morning on August 3, 1923. 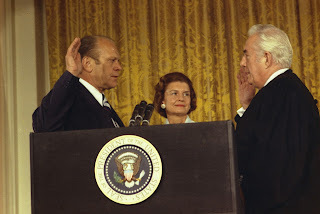 As you can see, most often when the oath of office has been given anywhere other than the traditional location at the United States Capitol, it's out of necessity for continuity of the office to be maintained after the unexpected death of the President, or in Nixon's case, his resignation. 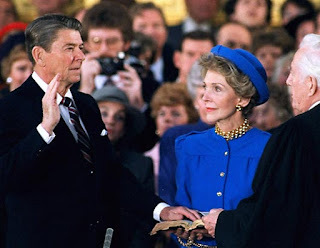 Without question, our tradition of swearing in the United States President, and the peaceful transition of power has been a hallmark of our Union from the beginning, and it's a tradition that sets us apart from any other country in the world.